Aviation and Transport Art "AEC Tinfront 1959"
Halfway through its production life (1948-61) the A.E.C. Mammoth Major began to appear with concealed radiator cabs, although still identical under the skin. Andersons of Newhouse had many A.E.C. 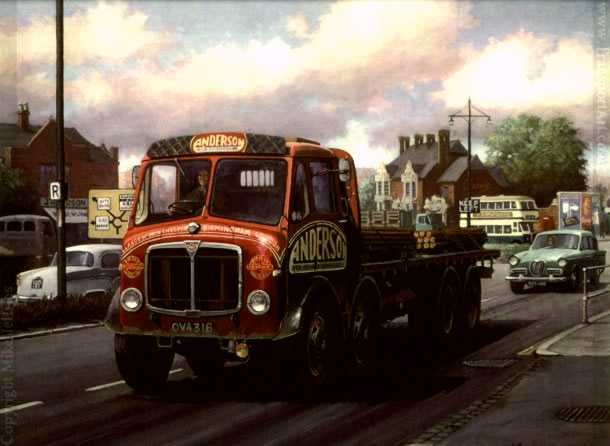 eight-wheelers and this example is seen in the suburbs of Birmingham with a load of steel bar.